Private tables, invites in all sits and player mode, are the new privileges that only Leo subscribers can enjoy. 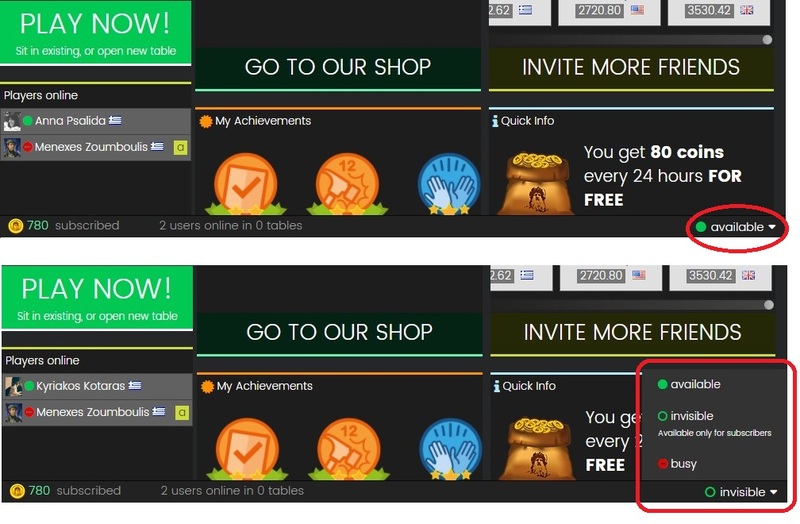 Starting from today, players that are subscribed* in Leo can enjoy new privileges! Let’s have a close look to each one of them. Leo Bridge is a bridge platform which is focusing a lot on the social side of bridge and most players love it exactly for that reason! However, sometimes we might want to be in a more “private” environment. 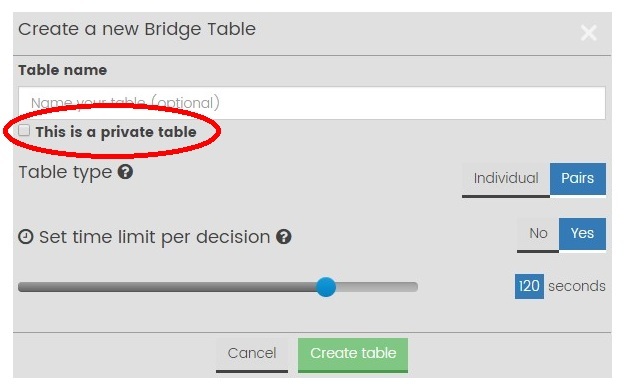 So, either you prefer to play without kibitzers that can sometimes distract the game (apart from the fun they create ;-)), or you want to play only with your friends, without being anxious that someone else will take the place in the table you have just created, private tables are there for you. Subscribers only, can create a private table, but they can invite anyone to play (subscriber or not). Private tables are invisible in the Lobby. Important note: Make sure that you have already “talked” to your friends and they are all online waiting for your invitation, otherwise you will end-up alone, as no one can see a private table…! Currently in Leo, only the host of the table (the player who has opened it) can invite players in all seats. From now on, subscribers*are entitled with this privilege, regardless of whether they are the host of the table. That way they can choose the more than one players to come to their table. Currently all players that enter Leo are visible in the players online list and available for invitations. Status Invisible (for subscribers only): not visible in players online list, not available in the Invite list. The status menu is located on the bottom right side of Leo screen when in the Lobby. *Leo subscribers are considered all players that have a current monthly or yearly subscription.